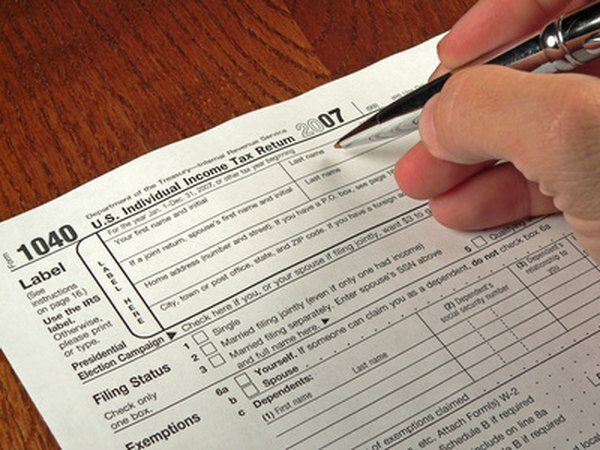 Even if you don't owe taxes, you still have to use Form 1040 to report your rollover. 3. What Can I Roll My IRA Into? Whether you're looking for new investment options or just want to consolidate your retirement assets, you can move your 401(k) money to a traditional individual retirement account tax-free with a rollover. Although you won't owe taxes on the rollover, if you don't report the rollover properly, you could find that your tax return receives unwelcome attention from the IRS. You can avoid having to report it on your taxes, however, if you do a direct transfer rather than a rollover. In addition, transfers offer the added benefit of not having to worry about taxes withheld from your distribution. Report the amount of the distribution from your 401(k) plan on line 16a of Form 1040 as a pension and annuity distribution. Report the amount, if any, that you didn't roll over, as a taxable pension and annuity distribution on line 16b. If you rolled over the entire amount, write "0" on line 16b. Write "rollover" next to line 16b to indicate that you rolled over the distribution. Report the amount withheld from your 401(k) plan distribution on line 62 of Form 1040. This amount, if any, decreases your final tax bill or increases your refund. You can find this amount in Box 4 of the Form 1099-R that documents your distribution. Your 401(k) plan must give you the option to to transfer money directly to an IRA rather than using a rollover, unless your eligible rollover distributions are expected to be less than $200 for the year. To do so, request a transfer rather than a distribution from your 401(k) plan. Each plan has a different form, so contact your plan administrator to determine the appropriate form for your plan. In general, the form will require your identifying information, your 401(k) plan information and the account information of the traditional IRA that you want to transfer the money to. You must roll over the money into your traditional IRA within 60 days of the distribution from your 401(k). If you don't complete the rollover in this time period, the IRS will usually consider it a permanent distribution. Waivers are only granted in rare circumstances, such as when a financial institution's error or a hospitalization prevented you from completing the rollover on time.